One pair of incredible Renaissance artists experienced a particularly epic rivalry. Both were vying for the same patrons, and their professional contempt very quickly got ultra-personal. Today, explore the intense conflict between Michelangelo and Raphael, both seeking approval and projects from one of the most innovative patrons: Pope Julius II. // Please SUBSCRIBE and REVIEW our show on Apple Podcasts! Production and Editing by Kaboonki. Theme music by Alex Davis. Social media assistance by Emily Crockett. Additional writing and research by Stephanie Pryor. Source: Notes in the History of Art 3, "Raphael, Michelangelo, Sebastiano: High Renaissance Rivalry"
Artnet: “Why Did Michelangelo Hate Raphael So Much? 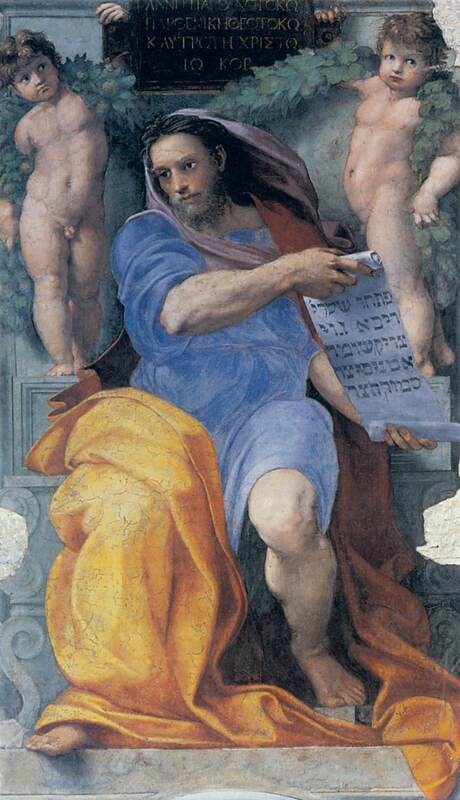 5 Ferocious Feuds That Shaped Art History From a Renaissance rivalry to the great clash of critics in NYC"
Michelangelo, The Prophet Isaiah, from the Sistine Ceiling, 1508-1512.